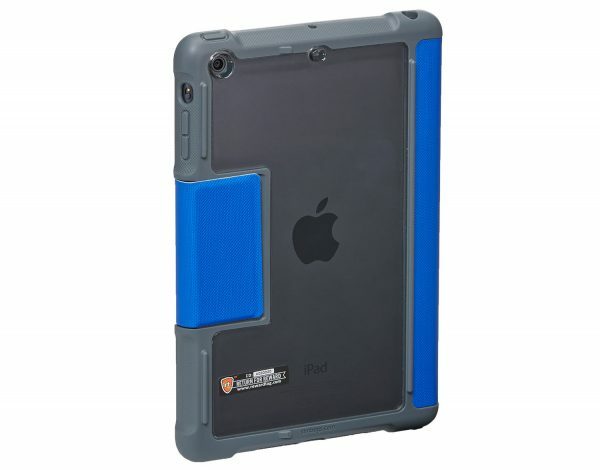 There are plenty of iPad Air cases out there, and to be honest, there is a need for them. Apple products, with all the premium they offer, actually come with a lot of dangers, like all premium products. You don’t really want to drop them, as the screens have proven to be a bit fragile over the years. Many a heart skips a beat all around the world every time such a drop occurs, and most people will often have to fork out for expensive screen replacements for their devices. STM have a solution for us, and it comes in the form of the DUX, which offers military grade protection for your precious device. Before you even go wondering, all that protection does not come at the extra cost of weight. 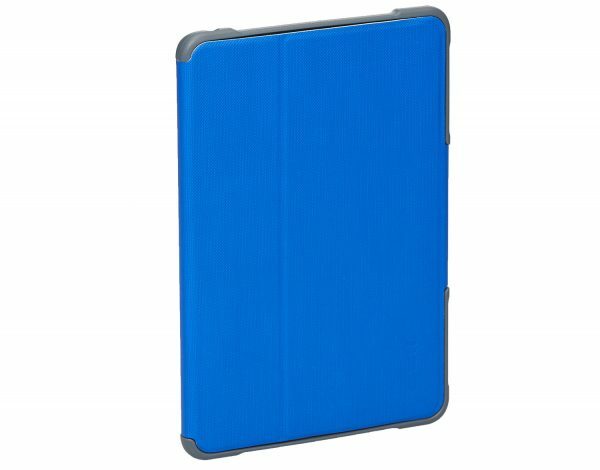 The case itself is really light, and the soft rubberised feel it gives means it is non slip, and soft. One of the first things you notice though, is that unlike traditional cases, which open more like a book, this one has a clasp that goes to the back, and needs to be pulled open as it magnetically closes. This means that if your iPad is sitting on a surface with the lid closed, you will have to pick it up to open it. Minor detail here, but something to remember. The magnetic clasp has the advantage that when you want to stand the device in landscape mode, it holds on to the case and does not slip. The back is transparent, which allows you to show off your device proudly. The corners have extra material built into them, while the sides give you extra grip. Button covers exist for power and volume keys, while ports exist for speakers, camera, 3.5mm port, the charging port and such like. The front of your iPad is fully exposed, so you can use and view the screen as well as the Home button as you please. The buttons are okay to press with this cover on, but it does mean you need a tad more effort than normal. Thanks to the plastic rubberised shell, it is actually rather easy. In is easier, and to pull it out, just snap it out of one of the corners and from there it should be fairly easy. Okay. I braved it. I had to. Things I do for you! I dropped my precious device a few times, sometimes by accident (“ACCIDENT!”) and sometimes to show off the case. There are no scratches or dents or issues to report. Of course, drop your own device at your own risk! Super strong, super sturdy. Just the feel of the device fills you with confidence. Added dust and water resistance is a plus, though be careful, it is only for accidental splashes, with the cover closed, and not for sure on wet surfaces or such like. 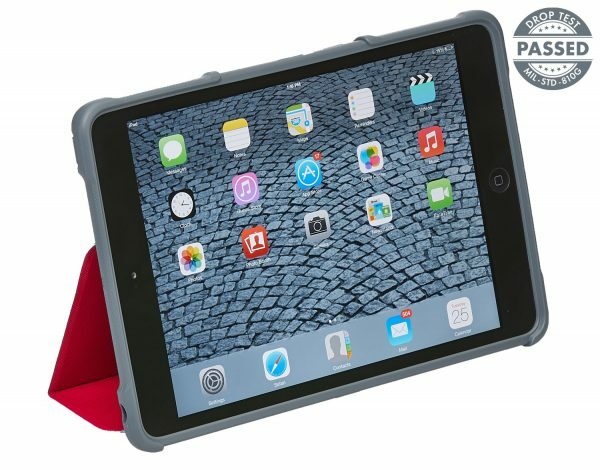 More information on the STM Dux for iPad Air can be found on their website. It is available from Amazon and comes in black, blue and red. It retails for £47.99. This one delivers exactly what it says on the tin, with immense protection, and not much added bulk. A winner! Next story Comedy in Oxford, a tough gig?